When you’re the owner of a boutique hotel, trying to bring your establishment to the attention of travelers can be a challenging undertaking. You need a way to get voyagers around the world to see the unique qualities of your hotel, so they can recognize the one of a kind experience that only you can offer. You don’t have the name recognition of the large chains, and you don’t have an extravagant marketing budget. Never fear – when you’ve got these top online hotel marketing strategies on your side, your marketing woes will disappear! 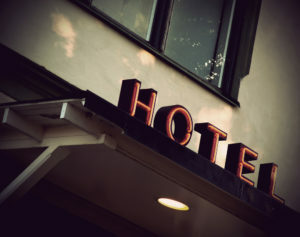 Here are our top hotel marketing tips on the best online strategies to get your boutique hotel the notice it deserves. Connect with today’s on-the-go travelers with a responsive hotel website design that performs perfectly on smartphones, tablets, and every other mobile device. Use a gorgeous full screen photo of your hotel’s best asset in all its glowing glory to capture guests’ attention, and you’re on your way! Incorporate the trending keywords that travelers are searching for throughout the content and pages of your website. Remember to include long tail phrases to match the verbal searches mobile travelers use on their phone, and change them up as needed. Bring the sights, sounds, and beauty of your hotel to life with a riveting weekly blog. Publish teasers from each week’s edition through your social media channels to have travelers lining up to stay! Begin bringing direct bookings back to your boutique hotel with a mobile hotel app that features a powerful booking engine. Include a low price guarantee and special access to hotel perks to recapture travelers’ interest back from the OTAs. Everyone loves to share their vacation photos, so encourage guests to post their best shots on your Instagram page. Engage in destination storytelling in the description area on each photo to invite viewers to join the one of a kind adventure awaiting them at your boutique gem! Use the full array of social media marketing to engage with travelers and show them the unique experience your hotel offers. Incorporate super short video clips to make each post shine! Segment your subscriber list and send targeted emails with discounts and promotions to encourage past guests to return for repeat stays. Why should chains have all the fun? Create your own loyalty program and reward the faithful with direct booking discounts and special perks. Publicize through social media for a major membership boost! Gaining notice for your hotel through organic search and social can be difficult, but these affordable little ads can level the playing field in a hurry! Plan your bid terms to target adventurers that are the perfect match for your jewel of a hotel. Count on Travel Tech Strategies for more marketing ideas for boutique hotels and full online marketing support to help your little hotel make a big splash with travelers! Our hotel marketing gurus can provide you with responsive hotel web design, mobile app development, monthly social marketing packages, email marketing, and more to get your boutique hotel the notice it deserves! Contact us at Travel Tech Strategies today at 954-779-2801 for more online marketing tips for your boutique hotel along with expert marketing support services to make your hotel gem shine!